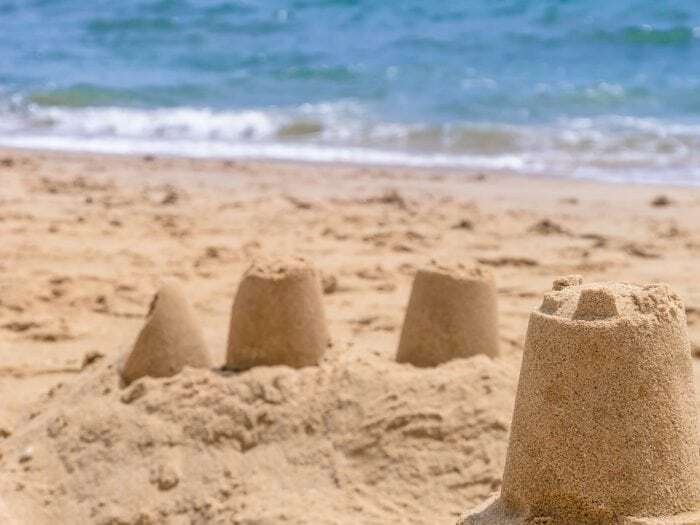 When we fill a bucket up with sand, flip it upside down, and remove the bucket to make a sand castle, we usually don’t think much about the properties of the sand itself. But granular materials like sand continue to fascinate physicists, engineers, mathematicians, and other scientists with their complex and often strange behavior. If you drop your phone onto the surface of the sand in a bucket, your phone simply sits on top of the sand (it doesn’t sink to the bottom like it would do in water); the sand is acting like a solid. If you tip over the bucket, you can easily pour the sand onto the ground to form a pile; the sand is behaving like a liquid. If a gust of wind passes by, it picks up some grains of sand and transports it along the beach (or into your eyes); the sand is behaving like a gas does. But granular materials are more than just child’s play. The industrial processing of granular materials such as minerals, wheat grain, pharmaceutical powders, food powders, sugar grains, and seeds is a multi-trillion dollar enterprise, and understanding how the grains or powder moves when being processed is big business. For example, controlling mixing and segregation during granular processing will lead to better quality control and traceability, as well as improved efficiency and cost saving. Understanding how granular materials behave can also save lives. Natural hazards such as avalanches, landslides, eruption clouds and pyroclastic flows all behave according to their granular nature. To understand these complex geophysical phenomena and to minimize their risk we must study how granular materials behave. The goal of my research is to enable the modeling of large-scale industrial and natural granular flows with as much accuracy as we currently have for “normal” fluids such as water or gas. In a large-scale real system, it is impossible to model every single granular particle individually, so my research focuses on methods to treat flowing granular material like a continuous fluid. But I also run lab experiments of granular flow in silos to help understand the physics of granular flow and to generate data to validate my mathematical models. Fullard, L. A., Davies, C. E., & Wake, G. C. (2013). Modelling powder mixing in mass flow discharge: A kinematic approach. Advanced Powder Technology, 24(2), 499-506. Irvine, S., Fullard, L., & Davies, C. (2016). The Effect of Heaped and Sloped Powder Layers on Ejection Times and the Residence-Time Distribution of a Conical Mass-Flow Hopper. In Applications+ Practical Conceptualization+ Mathematics= fruitful Innovation (pp. 175-189). Springer, Tokyo. Fullard, L., & Davies, C. (2016). Ejection times from a conical mass flow hopper–Coulomb and conical model differences. Applied Mathematical Modelling, 40(2), 1494-1505. Fullard, L., & Davies, C. (2017). Minimising the spread of residence-time distribution for flat and heaped powders in a wedge-shaped planar hopper. Particuology, 30, 102-110. In the four papers above, I have used simple mathematical models to predict the amount of mixing that occurs as granular material is emptied from a silo. These predictions are critical to helping the industry to control mixing as their product is processed. It is a quality control issue. We found that the initial loading pattern (i.e. layers of flat grains, heaped grain layers, or sloping layers), greatly changes the predicted mixing pattern, and hence, mixing can be controlled by the method used to load the granular material into the silo, the silo geometry (i.e. the angle of the cone on the silo), and the friction between the grains themselves. Fullard, L., Breard, E., Davies, C., Lagrée, P. Y., Popinet, S., & Lube, G. (2017). Testing the μ (I) granular rheology against experimental silo data. In EPJ Web of Conferences (Vol. 140, p. 11002). EDP Sciences. This paper tests the new μ (I) granular flow model [Jop 2006] against experimental data which we measured in one of our transparent silo systems. The speed of the particles at different locations was experimentally measured using Particle Image Velocimetry, a method where a camera records the silo flow at high speed, the video frames extracted and processed using imaging techniques which results in the velocity at various points in the flow. The μ (I) model treats the granular flow as a continuous liquid, but with an artificial viscosity which changes as pressure and in locations where velocity is changing rapidly. In areas where velocity is not changing much the viscosity is very high (like a solid), but where the velocity is changing rapidly, the viscosity is much lower and the grains can flow easier. We found that the model performs satisfactorily; the model flow behavior shows similar patterns to the experiment, but the velocity and predicted flow rate do not perfectly match. This indicates the need to add more physics to the models for more realism and better predictive power. Fullard, L. A., Davies, C. E., Lube, G., Neather, A. C., Breard, E. C. P., & Shepherd, B. J. (2017). The transient dynamics of dilation waves in granular phase transitions during silo discharge. Granular Matter, 19(1), 6. Fullard, L. A., Davies, C. E., Neather, A. C., Breard, E. C. P., Godfrey, A. J. R., & Lube, G. (2018). Testing steady and transient velocity scalings in a silo. Advanced Powder Technology, 29(2), 310-318. In these two papers, we have performed experiments on granular flow in a transparent silo. We used high-speed cameras to record the flowing grains and Particle Image Velocimetry (PIV) to characterize the velocity of the flow. In the first paper, we measured “dilation waves” during the initial few seconds of flow (i.e. the first few seconds after the flow began). These “dilation waves” are simply the bed of grains expanding as the grains below them begin to flow. We measured these waves and found that their speed was highly dependent on the bulk (packing) density of the flowing material. If the grains were very loosely packed the wave propagated very rapidly and flow began in all areas of the silo quickly after initiation. If the bed of particles was densely packed the flow was much slower to initiate flow throughout the silo. We developed a mathematical model of this situation and managed to capture all of our results using a very simple mass conservation argument. The findings are important because we found that the packing density greatly affects the speed at which a granular flow initiates. This may have important consequences for the initiation of some natural geophysical granular flows such as landslides and avalanches. A loosely packed bed would initiate flow much more quickly than a densely packed one. In the second paper, we compared the velocity profiles of granular flow in silos for different opening sizes. It is well known that the flow rate from a rectangular silo is proportional to the opening width to the 3/2 power, but we used PIV to measure the x and y velocity components both during a steady silo flow and during the initial transient regime. We found that the profiles in both the steady and transient start-up regime were self-similar – they all had the same shape and were only scaled by the flow rate due to the larger opening size. Although this had previously been verified in the steady regime, we further proved this effect by analyzing the transient start-up flow regime. I am currently being supported by the Royal Society of New Zealand Marsden Fund to further my research into granular physics and modeling. Magnetic Resonance Imaging (MRI) experiments of flow through 3D printed silos. This work has resulted in us being able to measure the flowing velocity of the seeds in 3D in the silo. We have shown that the μ(I) mathematical model works well under certain conditions by comparing the MRI velocity results to the models. Using 3D printed silos and a rotating sampling device we are measuring mixing of particles of different types (i.e. sizes, density). We are examining the effect of obstacles in a silo to see how they influence mixing during silo flow. We have used Particle Image Velocimetry (PIV), flow rate measurements, and mathematical modeling to study the flow of grains from a silo with two openings where the distance between the openings is changed. We found that at a critical distance between the two openings the flow rate exiting the silo reaches a minimum indicating that there is some granular interference phenomena occurring. A similar result was found in models of the evacuation of pedestrians from a room with two doors [Sticco 2017] (the speed at which the room could be evacuated was dependent on how far apart the doors were placed). We are using mathematical modeling to further understand the above systems, and the data from the experiments to validate the models. We are now working to add further physics to the models to make them more realistic such as flows of mixtures of particles of different size (segregation dynamics) such as in [Gray 2005], non-local behaviour, where the motion of the grains is influenced by a region of nearby grains [Henann 2013], and allowing the flow of grains to expand or contract (i.e. adding compressibility). These findings are described in work conducted by Luke Fullard from Massey University. [Jop 2006] Jop, P., Forterre, Y., & Pouliquen, O. (2006). A constitutive law for dense granular flows. Nature, 441(7094), 727. [Gray 2005] Gray, J. M. N. T., & Thornton, A. R. (2005, May). A theory for particle size segregation in shallow granular free-surface flows. In Proceedings of the Royal Society of London A: Mathematical, Physical and Engineering Sciences (Vol. 461, No. 2057, pp. 1447-1473). The Royal Society. [Henann 2013] Henann, D. L., & Kamrin, K. (2013). A predictive, size-dependent continuum model for dense granular flows. Proceedings of the National Academy of Sciences, 110(17), 6730-6735. [Sticco 2017] Sticco, I. M., Frank, G. A., Cerrotta, S., & Dorso, C. O. (2017). Room evacuation through two contiguous exits. Physica A: Statistical Mechanics and its Applications, 474, 172-185. 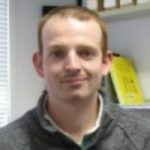 Dr. Luke Fullard is a Lecturer in Mathematics and Computational Geodynamics at Massey University. He has expertise in Applied Mathematics, Chemical Engineering, Classical Physics, and Engineering. His research focuses on Fluid dynamics. granular flow, and non-Newtonian flow.